JERUSALEM — Violence erupted at the Gaza border Friday after the territory's militant Islamic Hamas rulers and Israel appeared to be honoring a cease-fire that ended two days of intense violence amid efforts by neighboring Egypt to negotiate between the two sides. Israel's military said no rockets were fired from Gaza at Israel overnight and it conducted no airstrikes in Gaza against Hamas targets. Israel's government hasn't confirmed the truce. But the deal did not seem to address the deeper issues that have prevented the bitter enemies from reaching a longer cease-fire arrangement. 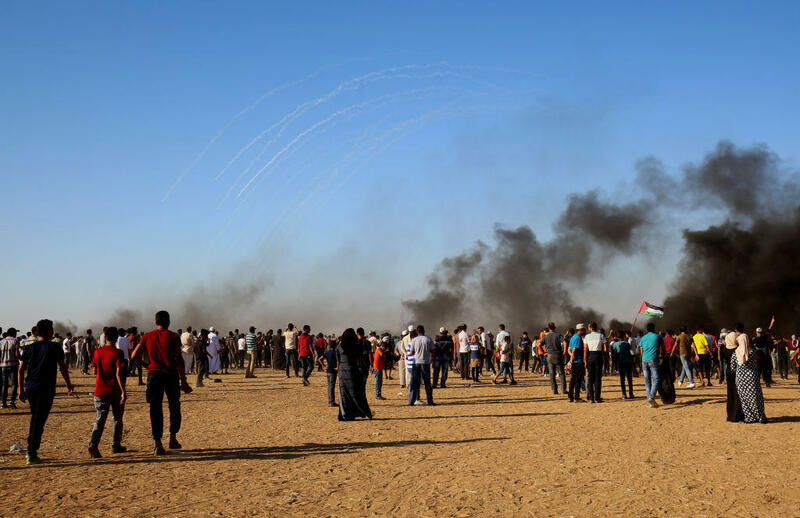 Gaza militants fired some 200 rockets at Israel and the Israeli military carried out a similar number of airstrikes in Gaza in the latest round of violence this week. Palestinians say U.S. Mideast peace plan "dead upon arrival"